David Graham Blanchflower is the Bruce V. Rauner '78 Professor of Economics at Dartmouth College. In 1973 he received his B.A. Soc. Sci. (Economics) at the University of Leicester, 1975 his Postgraduate Certificate in Education at the University of Birmingham, 1981 his M.Sc. (Econ) at the University of Wales, 1985 his Ph.D. at the University of London and 1996 his M.A. (Honorary) at Dartmouth College. He received an honorary D.Litt degree in 2007 from his alma mater, the University of Leicester and an honorary D.Sc. degree from Queen Mary, University of London in July 2009. He is a Research Associate for National Bureau of Economic Research, a Research Fellow for CESifo at the Centre of Economic Studies, University of Munich and a Program Director for the "Future of Labor" program, at the Institute for the study of Labor (IZA), Bonn. He is also serving as a Visiting Professor at University of Sterling. His main research interests are: Trade Unions, Entrepreneurship, Wage Determination; Youth Unemployment and Labour Market Responses to the Financial Crisis. He received Princeton University's Richard A. Lester Prize for 'the most outstanding book in Industrial Relations and Labor Economics published in 1994'. He was named the 'Business person of the year' by the Daily Telegraph, in their Great Britons of 2008 awards on 30th December 2008. 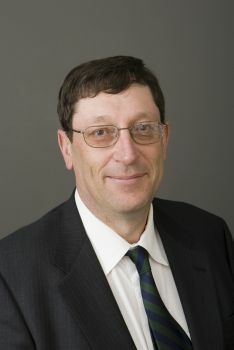 David Blanchflower joined CReAM as an external fellow in July 2009.